It's no secret that I am huge fan of the Tudor period, and that I love books set around that time-- though it seems I like the ones which give voices to women more than I like the ones which fictionalise all the battles and focus on the men, because I gave Conn Iggulden's War of the Roses series a go and it didn't grab me in the same way. 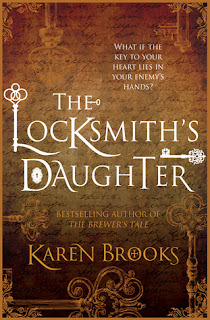 I was intrigued by The Locksmith's Daughter because, while it's heroine Mallory Bright was not a real person, her position in the novel as a watcher for Mister Secretary Walsingham, the Queen's Spymaster during the Elizabethan period, promised to give me as a reader an insight into the time period I had not been afforded before. While I found some of the adherence to a Shakespearian language still (for example, calling people 'Sirrah' when they annoy you, saying 'Zounds' as an exclamations etc) a bit overdone and distracting, the book did take me in. It was lovely, historical escapism, right down to the English Mammoth, Lord Nathaniel Warham, who was Mallory's love interest-- he reminded me a little of Fitzwilliam Darcy but with a little bit more of a personality. (Sorry Darcy, but it's true, you're a stick in the mud sometimes.) It was clear from the author's note that a lot of research had been done in the writing of this book, and while there were a few phrases the character used which were directly from Shakespeare, who wouldn't have had so much influence during his own time and is never even mentioned in the book, though one of the characters is a playwright and an actor, I did not notice any glaring anachronisms. 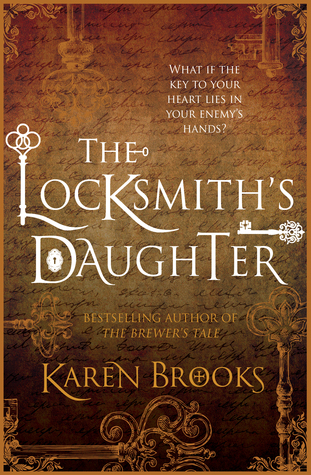 This was an absolutely massive book, but I read it quickly, and recommend it if you're in the mood for some light historical fiction with a love story.